Shackle load cells are designed for lifting and weighing in rugged or harsh environments. They provide a simple and reliable method of measuring a wide range of weights and loads. They consist of a shackle and a load pin. They are easy to install because their use doesn't differ from standard shackles. 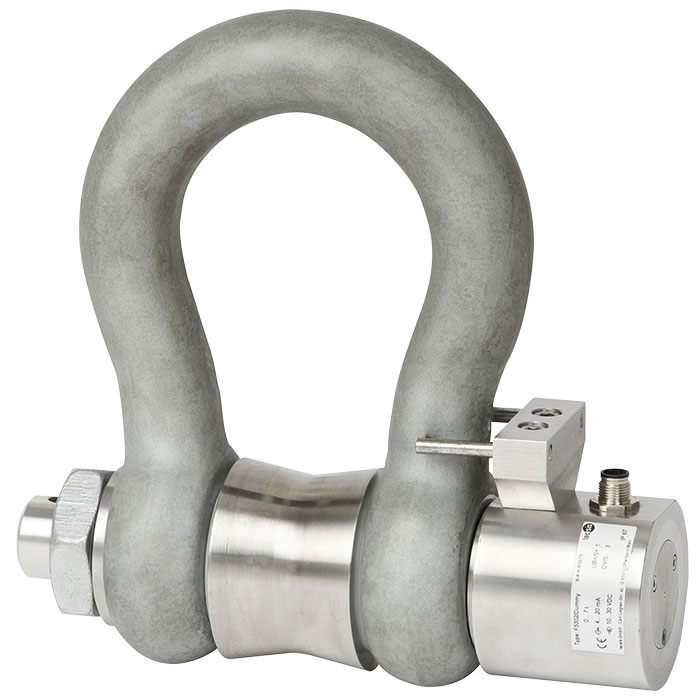 The dimensions of the shackle load cells correspond to the standard shackle sizes. The load cells F5302 are made of high-strength, corrosion resistant stainless steel 1.4542, which is particularly suitable for their application areas. The standard active current and voltage outputs are available as output signals (4 ... 20 mA / 0 ... 10 V).